Otter Creek Awnings is proud to be celebrating over 40 years of industry-leading service to our customers in Vermont, Upstate New York and New Hampshire. 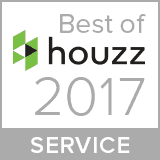 As a locally-owned small business, we understand the importance of providing outstanding products and impeccable customer service. It is our commitment to these values that has led us to be one of the nation’s most well respected and recognized awning companies. You can be assured that we will put our collective experience to work on your project. Meet our owners Kristopher & Sarah Larson. 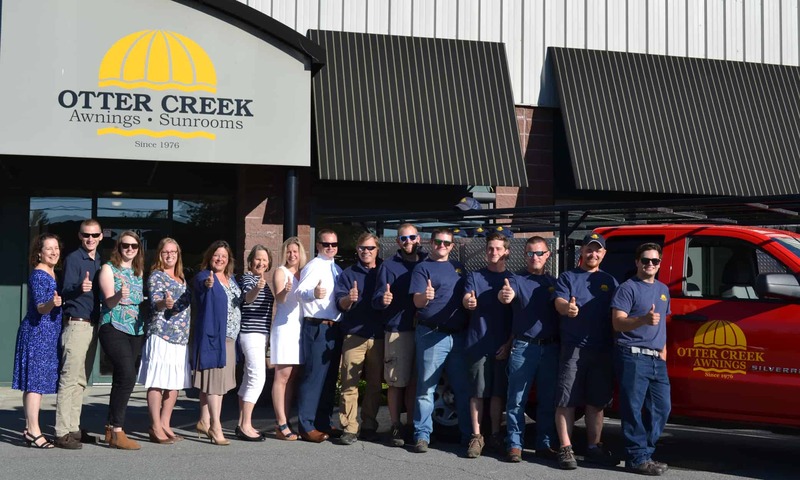 When you work with Otter Creek, you do so with the peace of mind that comes with knowing that our company has been around for decades, and we’re going to be here for decades to come. We understand that our continued success is directly related to your satisfaction. As we continue to grow, you can be assured that we will stay focused on your experience with our company. We take great pride in our work and we look forward to the opportunity of working with you on your exciting project! 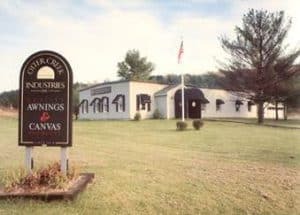 Over the past 40 years, Otter Creek Awnings has grown from a small company making canvas bags and simple awnings, to an industry leader in the marketing and sales of sophisticated awning systems and solar shades for home and business owners. We have worked hard over the years to earn our reputation as the areas’ leading authority on home awnings, commercial awnings, deck and patio canopies, solar screens and other unique solar protection products. Watch our video on the history of Otter Creek Awnings.